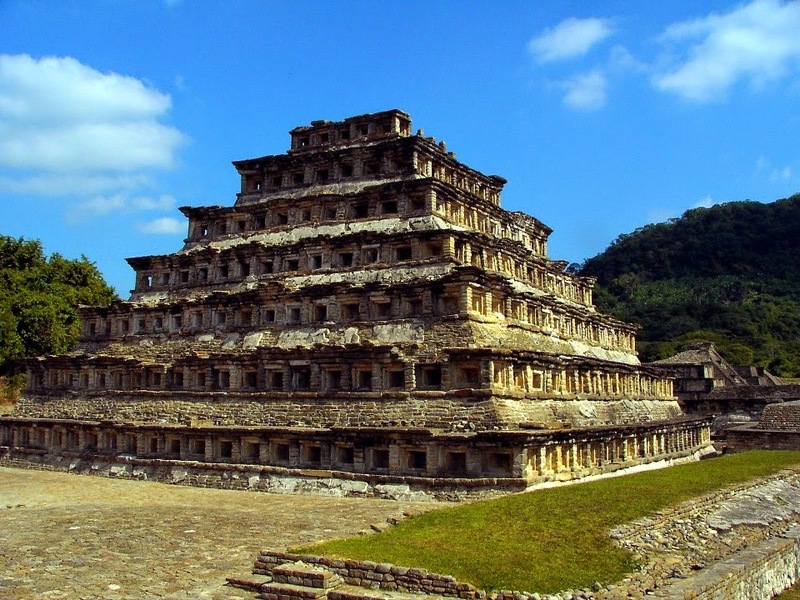 The Mesoamerican fascination with, and knowledge of, math and astronomy shines when examining the details of its architecture. 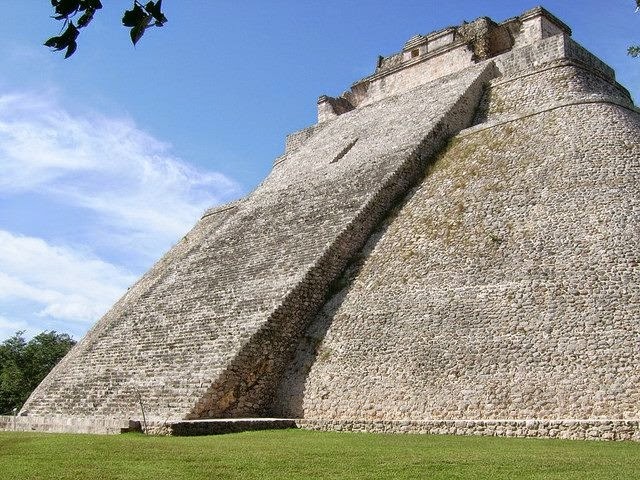 The Pyramid of Kukulkan is the central pyramid of Chich’en Itza. 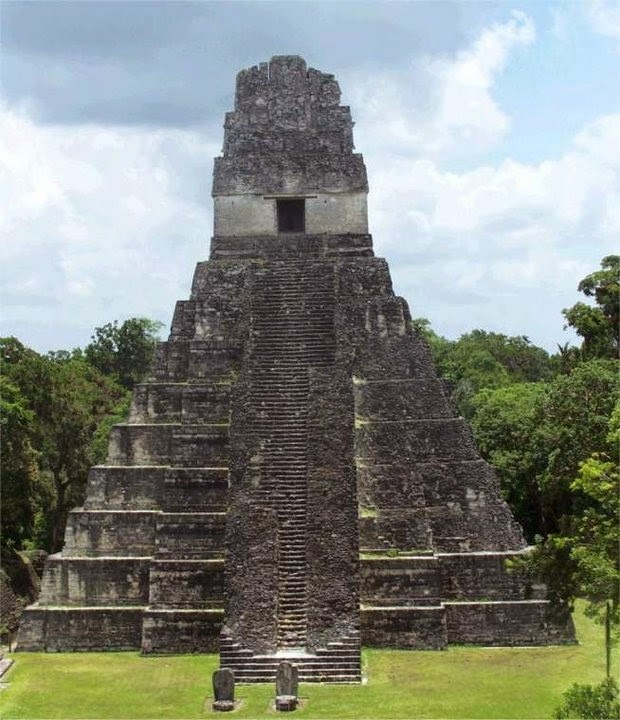 Each of the four sides has ninety-one steps ascending it, 364 steps total, with the temple topping the pyramid considered an addition step totaling 365, each step representing a day in the calendar. The pyramid's nine stages, bisected by a staircase on each side, represent the eighteen months of the Mayan Calendar year. Uxmal, meaning “built three times” in the Mayan language, is one of the best preserved Pre-Columbian sites in Mexico. The most recognizable and tallest structure at 115 feet is the Pyramid of the Magician. 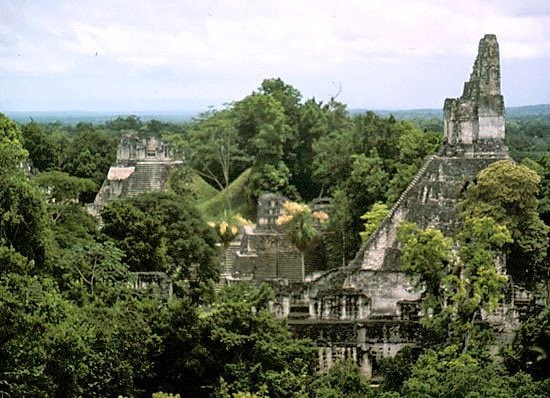 Coba in Mexico was a large ancient Maya city that was home to about 50,000 inhabitants at its peak. 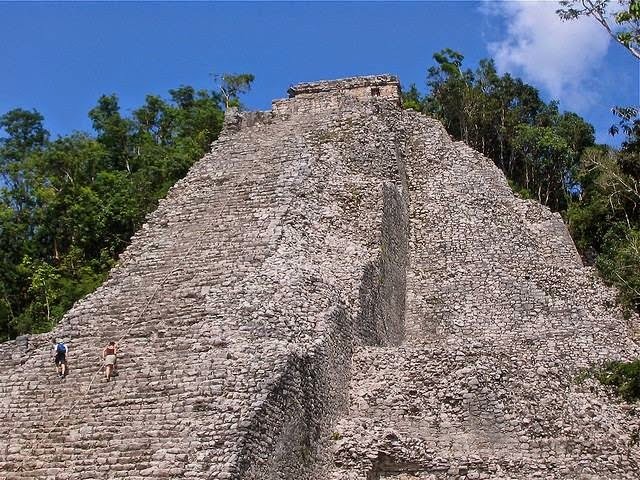 Coba contains several large temple pyramids, the tallest, the Nohoch Mul pyramid is about 42 meters (138 ft) high. Today only a small portion of the site has been cleared from the jungle and restored by archaeologists. The spectacular Pyramid of the Sun located at the Teotihuacan complex near Mexico City, Mexico. The magnificent Pyramid of the Moon, as seen from the Pyramid of the Sun, at Teotihuacán near Mexico City. Teotihuacan pyramid complex in central México from 18,000 feet up in the air. Xunantunich frieze, more than nine feet high and 30 feet long, features a three-dimensional figure of a Maya ruler. 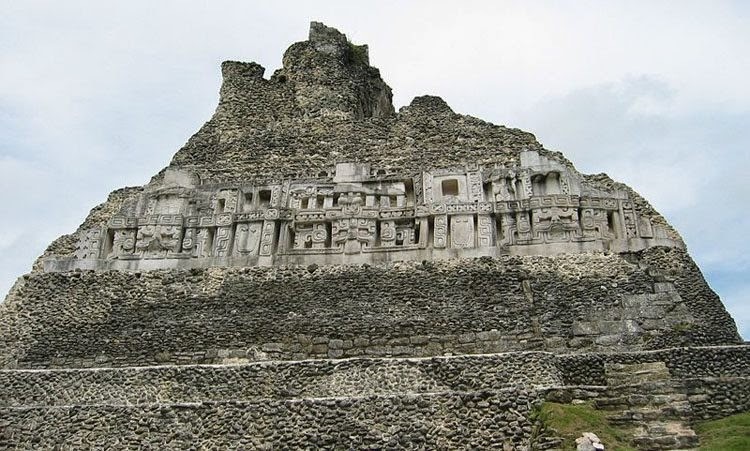 Xunantunich was a thriving city of at least 10,000 inhabitants. Pyramid of Niches, El Tajin, Northern Mexico. 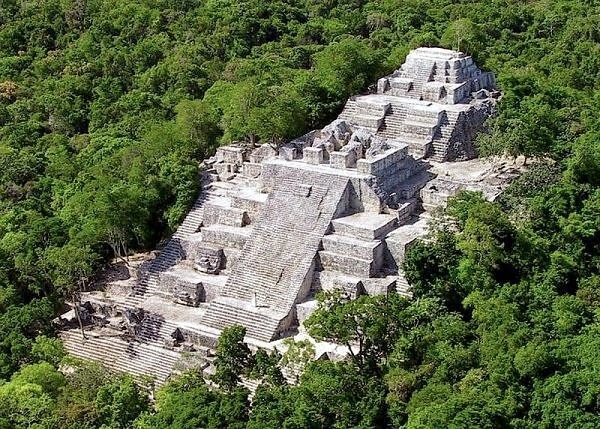 Calakmul in the Mexican state of Campeche not far from the Guatemalan border.